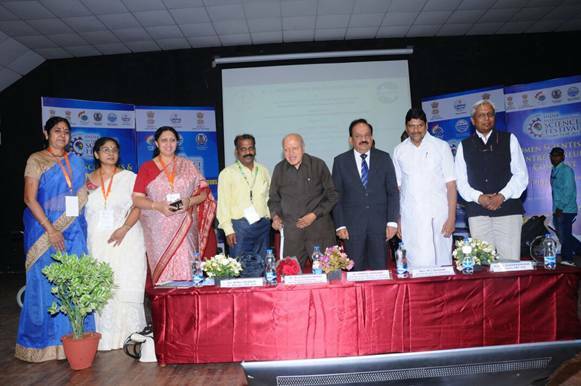 Chennai: Union Minister of Science & Technology Dr. Harshvardhan inaugurated Women Bio-tech Incubator at Golden Jubilee Biotech Park for Women Society during IISF, 2017 in Chennai today in the presence of Prof. M. S. Swaminathan, Founder Chairman, Women Biotech Park, and State Minister of Industry, Government of Tamilnadu – Shri M C Sampath. Dr. Harsh Vardhan today delivered the Conclave Address during the Women Scientist and Entrepreneurs Conclave at IISF 2017. While delivering the Conclave Address Dr. Harshavardhan said that globally there has been a special focus on addressing the issues related to Women in Science and framing policies which support the same. In India we have laid special emphasis on empowerment of women. Prime Minister Narendra Modi has stressed upon the need for special programmes which not only technically empower the women but also create employment opportunities. In the field of Science and Technology and Entrepreneurship, Indian women have had a major presence over the last 100 years. The first women to receive a medical doctorate degree was Anandibai Joshee in 1885, the first Indian women Doctorate in Basic Science was Janaki Ammal in 1931 and India’s first woman to get a doctorate of science from an Indian university was Asima Chatterjee in 1944. These dynamic women have laid a very strong foundation for women in science in India. 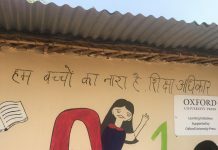 In the last few years, there has been a special focus on “Women Empowerment by the Government. The DST and DBT have special schemes to attract women scientists and to provide employment opportunities to the unemployed women scientists. Women Entrepreneurship is a very important activity that has been growing rapidly in last few years. “Start up India” and “Stand up India” announced by Hon’ble Prime Minister are initiatives which offer tremendous opportunities to the women entrepreneurs. Biotech Park is a good example of a Centre and State Government Partnership. The Minister expressed his confidence that with the support of the State Government it will drive many important initiatives under Start up India and Make in India. A large number of Innovation schemes of the S&T Ministry being operated by DST and DBT and initiatives taken by BIRAC have today created a vibrant innovation ecosystem. More than 1000 Start ups and nearly 200 Women Entrepreneurs have been supported. The Atal Innovation Mission also aims to promote the innovation ecosystem. The Minister was pleased to know the excellent participation in Women Scientists and Entrepreneurs Conclave. He informed that the Ministry of S& lays special emphasis on North East and has a special program and will be happy to set up a Women Bio-Incubator at North East. He expressed his confidence that the women scientists would contribute significantly to the growth of the country and fulfill the dream of Hon’ble Prime Minister of “Making a New India”. Women scientists and Entrepreneurs definitely are the Game Changers Driving Science for “Making a New India”. Dr. Harshvardhan also released a book – Genesis of Biotech Park – on this occasion. Women Scientists Conclave with the theme “Women Scientist and Entrepreneurs – Game Changers Driving Science for New India” was held as a part of India International Science Congress, 2017 in Chennai. The theme of the Conclave was to motivate young women to pursue science and entrepreneurship and explore new opportunities. The conclave showcased the strengths and activities of women in science and entrepreneurship and provided a platform for the young women scientist and entrepreneurs to interact with experts and peers. The Conclave is being attended by over 350 Women Scientists, Researchers, Faculty and Entrepreneurs. There is participation from across the country – North East, Uttarakhand, Bihar, West Bengal, Punjab, Kerala, amongst others. There was an exhibition and panels. Many Senior Scientists, Entrepreneurs who are role models shared their experiences. Dr. Soumya Swaminathan, Secretary, Department of Health Research (DHR) and Director General, Indian Council of Medical Research (ICMR) delivered the keynote address. Presentations were made in various fields of interest viz., Geoscience, Space and Ocean research. Panel Discussion on “Game Changers Driving Science for New India” was held and the discussion focused on (i) Challenges for taking science as a career and (ii) Opportunities for women in Science, Technology and Entrepreneurship. Presentations were given on “Budding Women Scientists” and “Initiatives of the Govt. of India for Women in Science and Science for Women”.